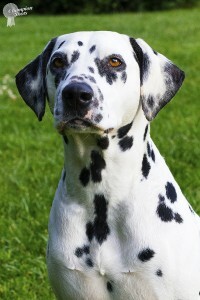 CCDals Flash Dance - known as Flash is a Liver spotted male with a sensational pedigree with parents, grand parents and great grand parents winning Best In Shows awards. Flash is a free flowing mover and makes running in the show ring effortless. Flash has a Red Liver Pigment which is faultless with a rich, deep pigment to be adored. 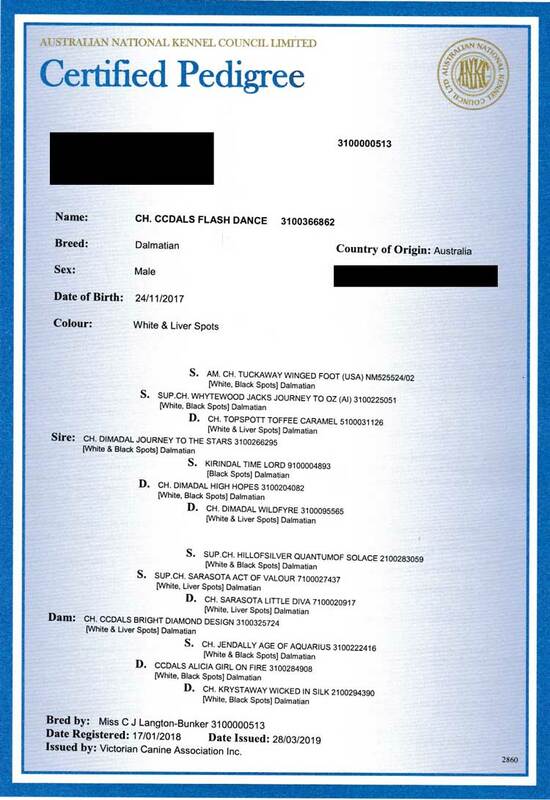 CCDals Flash Dance – known as Flash is a Liver spotted male who is very outgoing, smart, highly spirited and fun loving plus always strives to please like his mum Australian Champion CCDals Bright Diamond Design (Diamond). A combination of CCDals lines, Dimadal, Krystaway, Jendally, Sarasota, American Champion Tuckaway Winged Foot and Hillofsilver blood lines. Flash is a free moving male who can cover the ground. Flash is also grand son of two Supreme Champions; Supreme Champion Sarasota Act Of Valour and Supreme Champion Whytewood Jacks Journey To OZ. The son of Australian Champion CCDals Bright Diamond Design (Diamond) and RUBISS Australian Champion Dimadal Journey To The Stars (Apollo) – giving him the ability to freely move. Temperament: A very outgoing smart and affectionate male who has a passion for life and is very intuitive. 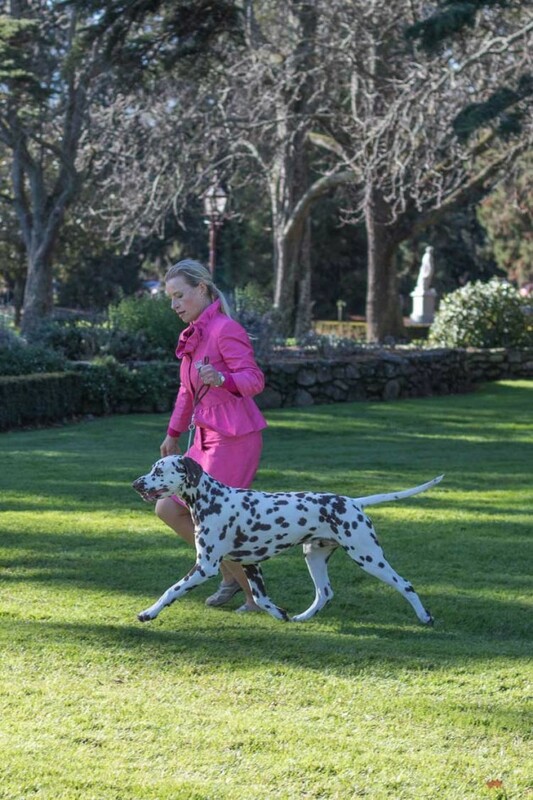 Flash wins “Best Opposite Puppy In Show” under a Dalmatian specialist judge – Mrs L’Udmila Fintorova (Solvak Republic) at the 16th National Dalmatian Specialty Show 2018. 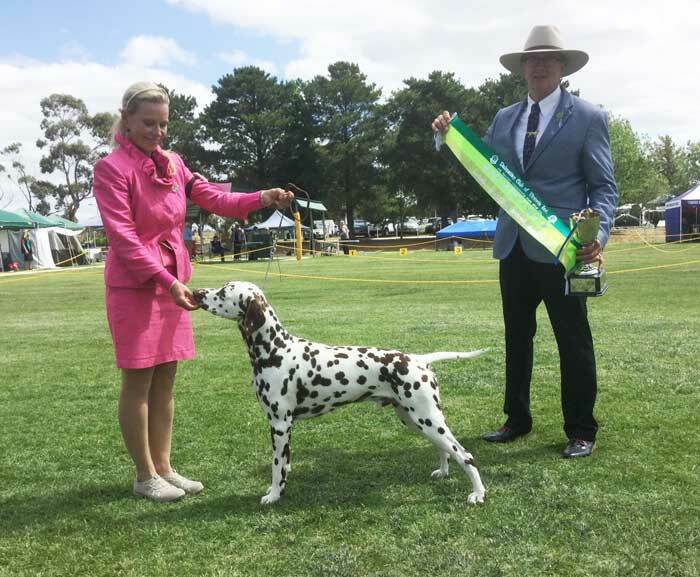 Flash wins “Puppy In Show” under a Dalmatian specialist judge – Robert Harbin (NSW) at the 72nd Dalmatian Specialty Championship Show 2018. Flash wins “Runner Up In Group, Puppy In Group & Best Of Breed” judge Mrs S Newcomb (USA) at the biggest one day Championship Show In the Southern Hemisphere; 223 Dogs in the Group 7. 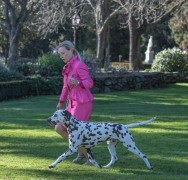 Flash wins “Best Junior in Show, Best In Group 7, Junior In Group & Best Of Breed” – on his First Birthday under Dalmatian Specialist Judge Mrs I Glynn (SA) at the North East Kennel Club – Wodonga.